After 26 and a half years of marriage (but who’s counting), as Dave likes to say, “It ain’t a beauty contest no more”. And yet, after a wickedly long winter, there’s a little part of all of us that wants to rejuvenate and renew ourselves. Thanks to a new brand of cosmetics, there’s now a relatively expensive way to pamper yourself. 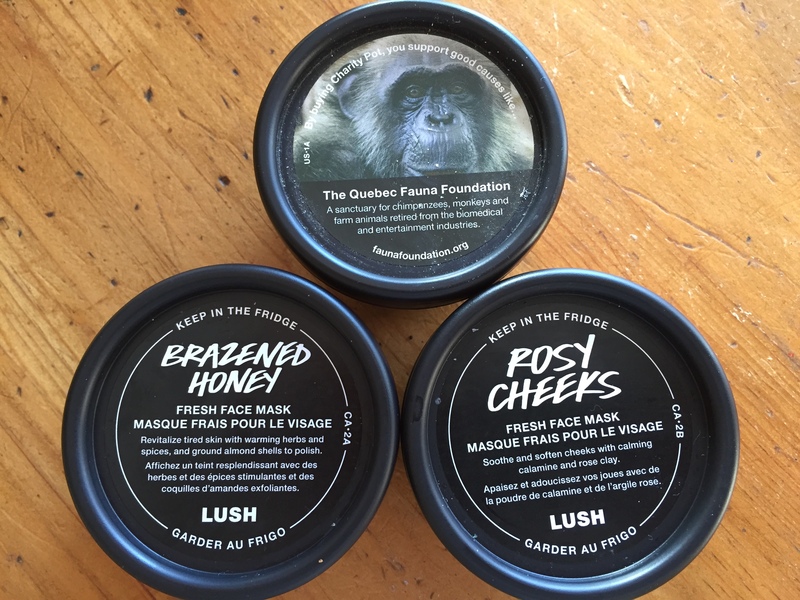 Lush Fresh Handmade Cosmetics is a line of cosmetics and creams that uses all natural ingredients made fresh. They are opposed to testing products on animals and use no preservatives and have minimal packaging. My girls discovered Lush a few years ago. I never really tried their products until recently, when Clare brought home a bagful of creams and masks from a friend’s birthday party. Yesterday I used their Cup ‘o Coffee Face and Body Mask. Within minutes, five months of winter washed away in the shower, leaving my skin soft, glowing and supple. I felt like a new woman afterwards. Maybe not new enough to win a beauty contest, but I never did do well in the talent and swimsuit competitions anyway. This week’s #HappyAct is to pamper yourself a little this week. Ed. note: After store hours, Lush offers private beauty nights, great for birthday parties, bachelorette parties or just a girl’s night out. Well, not sure what you said that the forces thought you needed your mouth washed out with soap, but that story’s HILARIOUS! Great idea Laurie! As I get older all these creams and soaps get more important; it’s an easy way to pamper yourself a bit.